Do you really care about the security of your wireless network or do you think all you need to do is login and connect to the internet? While this looks great, it isn’t always the best way to go because sooner or later hackers will find your network and will have to do something about it, it now depends on you being prepared or not. There are so many ways to ensure the security of your wireless network and some are too basic and important to be ignored, even if you ignore every other tip make sure you don’t ignore the 3 basic tips that will be shared in this post. 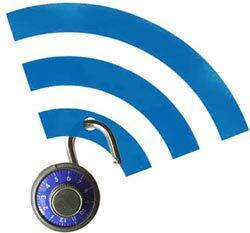 What is the default username and password of your wireless network? Is it “admin” and “admin” or is it “admin” and “12345”? Maybe you don’t know it? Your wireless router username and password are very important elements of your wireless network that should not be treated with levity because your wireless router is the control room of your entire wireless network and if I could gain access to it I can decide what happens and what doesn’t as far as your network is concerned. To really be in control of your wireless network make sure you change your default router password to something more solid and difficult to guess. Make sure the password you use isn’t in the dictionary, make sure it has no ties to you and make sure you’re the only one who knows it. Since you’re the only owner of the wireless network and other people will be connecting to your wireless network do you want to lose control of your network to somebody else? Some people are very smart and they know a lot when it comes to computer and networking so when they discover your network the first thing they will try to do is access your router configurations page, if remote administration is enabled they will be able to easily do this but if it isn’t they would have a hard time doing this. Make sure you disable remote administration so that you alone will be able to access your wireless network on the admin system only – believe me; this is far more secure than you can imagine. Basic, isn’t it? But it works. Just think about this, when is the best time to come and rob a home? Isn’t it in the night when the whole family is asleep because it will be late before anybody notices? The same thing applies to your wireless network and it can easily be hacked if it is left on when you’re not using it because you won’t even notice anything is going on when your whole wireless network would have been hacked. This is a guest post by Bamdel. You can learn more about the best mobile broadband Australia has.